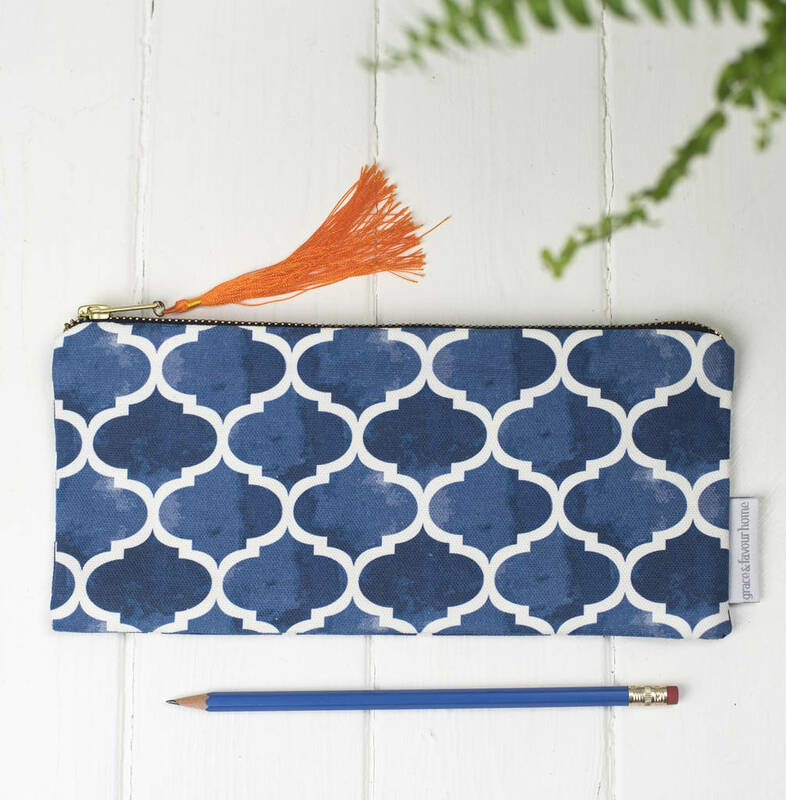 A geometric blue pattern on our Isabel deisgn pencil case. 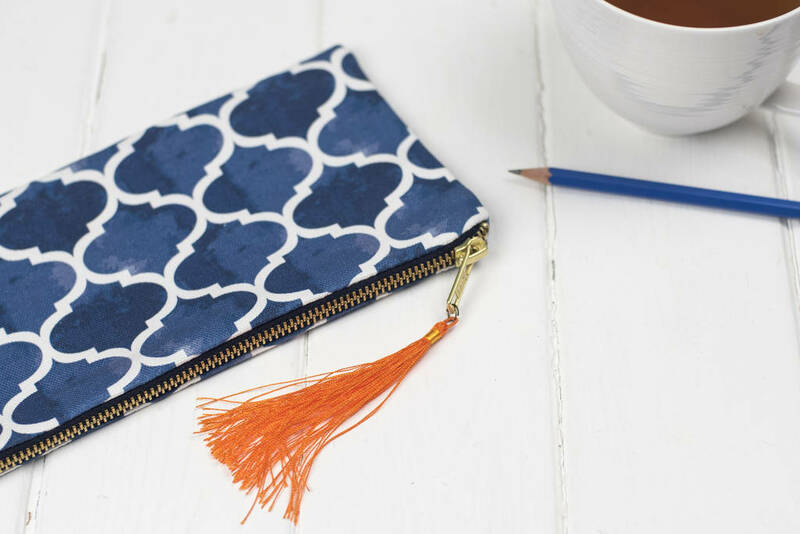 Watercolour based colours, fully lined, chunky metal zip and orange tassel detail. 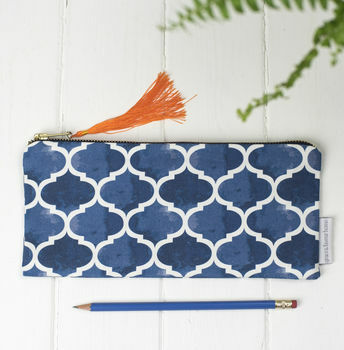 A smart pencil case using a deep indigo blue colour with a geometric pattern. A good quality metal zip and a bright orange tassel complete the look. The fabric is part of our 'Cadiz' collection which includes four other coordinating fabrics - Alta, Paloma, Safiya and Marisol. They use a combination of geometric and abstract designs in blues and vibrant oranges. The colour is based on watercolour brush strokes to add real depth to the colours.